laurenbruce | A food blog! Not a saturated market at all! A food blog! Not a saturated market at all! 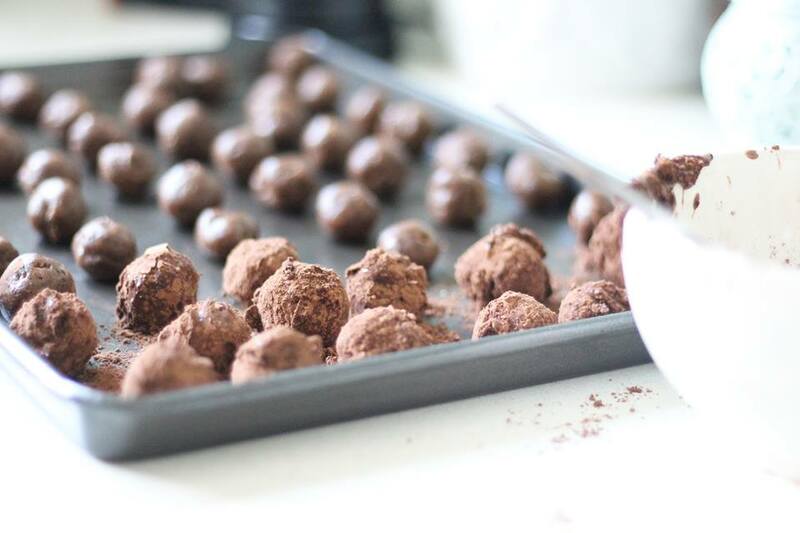 Find the recipe for chocolate caramel truffles on my new website, haynesandbruce.com! Hello fellow bloggers and blog followers, and Happy New Year! By now you’ve probably noticed that I’ve been quite absent in the blogosphere. This is because I’ve been working on a new (and very much improved) blog on my soon-to-be-finished website: haynesandbruce.com. Haynes&Bruce is my venture with photographer/graphic designer Georgia Haynes, and together we’ve been covering foodie, music, design and fashion events as well as doing copywriting, social media, photography and styling work for clients. We’re having a blast embarking on Haynes&Bruce, and I hope you follow our blog to enjoy our adventures, too! There are a few things to be sorted out on the new site, but the blog section is well and truly up and running so check it out here. Last night was not one of those times. Myself and fellow food bloggers Peachwater, Gourmet Chick and Confessions Of A Little Piggy were treated to some serious deliciousness, sampling tastiness from some of Melbourne’s best restaurants ahead of their showcase at the Taste Of Melbourne event in November. 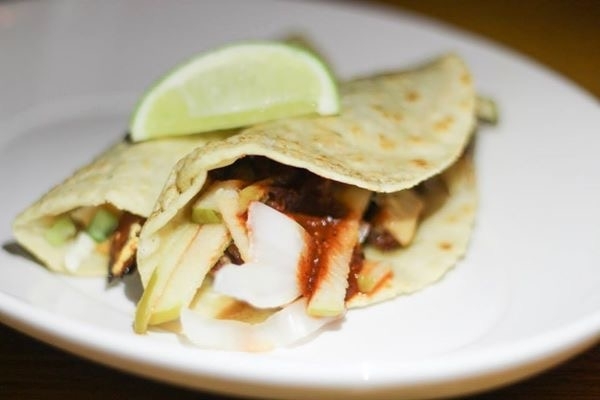 Boy were we spoilt as we ate our way around the city, from Brooks of Melbourne, through to Lucy Liu and then Mamasita. Things got moving straight away with a delicious glass of Paul Louis on arrival, and, never one to shy away from boggling the mind of the diner, chef Nic Poelaert didn’t disappoint with the amazing sher wagyu rib with charcoal vegetables, onions and vinegar. That rib was everything I needed it to be in terms of a balance between extremely tender fat and meat, with an intense and complex charcoaled vegetable coating which was unlike anything I’d had before. 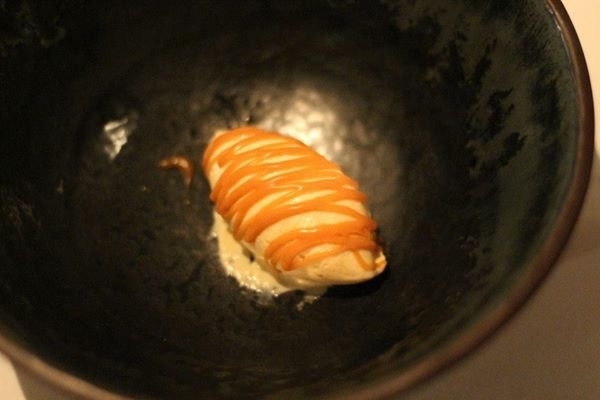 Challenging our understanding of what food is all about yet again, we were treated to cauliflower ice cream with caramel. Although I wouldn’t say it was my favourite thing in the world, I’m always happy to have my palate stretched to the limits. I’ve never been to Lucy Liu before and I must say, this part of the night was an absolute highlight. A Chin Chin-esque feel but without the hype-induced stress of “will I get a table, when will I get a table” etc, Lucy Liu is your perfect pan-Asian alternative to the former. 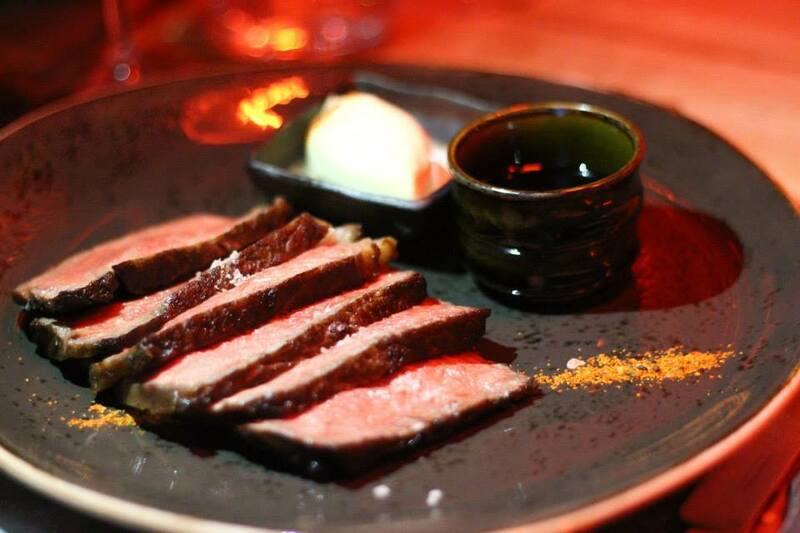 I sipped a Lucy Liu house white, clean and crisp, which was the best paired with the amazing food we got our greedy little hands on – oysters dressed with a fish sauce and chilli, Lucy Liu’s signature papaya salad, Asian slaw and the piece de resistance – the grade 7 wagyu with wasabi butter. MY GOD. I couldn’t even make pleasant conversation as every delicious morsel melted in my mouth. Kudos to Mamasita. Being the final stop on our Taste Air journey, we weren’t the most enthusiastic of food consumers, and yet we still enjoyed ourselves. Drinking the delicious and super salty Mamasita margarita on a school night (not for the faint hearted and VERY cheeky on a Tuesday eve), we enjoyed a spot of tortilla-pressing (how novel!) before we started eating ourselves to death again. 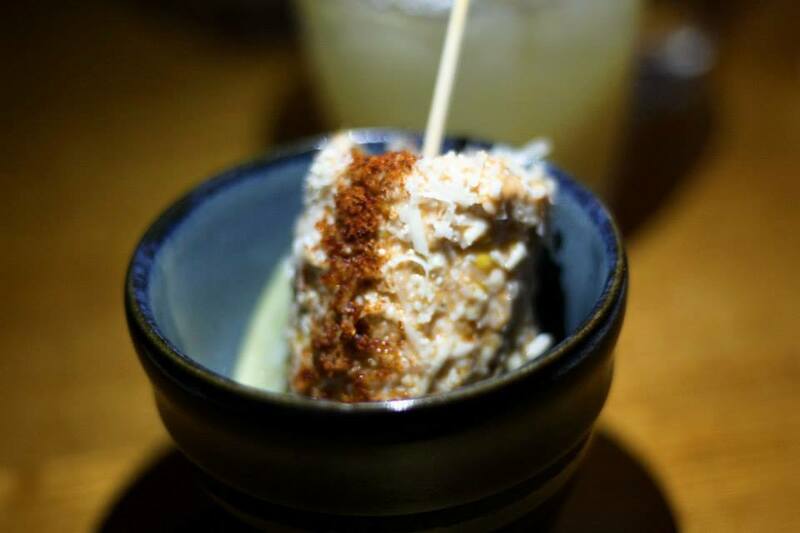 First up: that unbelievable elotes – Mexican corn on the cob – with mayonnaise, cotija cheese (which sort of tastes like pecorino), lime and spices. I think I could’ve stopped there but no, so much more food. So much. 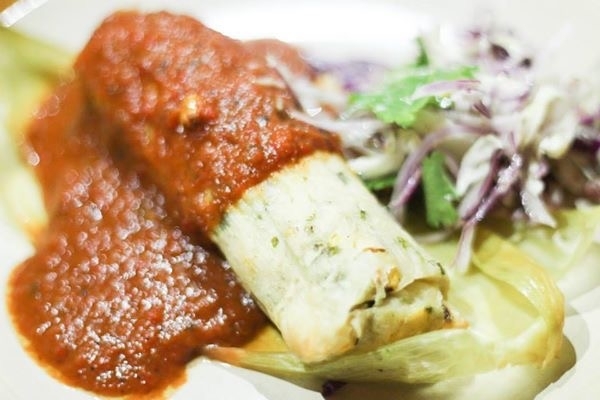 A prawn tamale with arbol salsa was next, followed by zucchini-braised molotes – a bit same-samey for me, but to be fair, we were all dying of food coma syndrome by then. But the last dish, Mamasita’s famous pulled pork and fish tacos, were off-chops delicious. I wouldn’t have eaten them if I was normal and ate normal amounts of food, but… DAT CHIPOTLE MAYO. Fish tacos – what you come to Mamasita for. So we all left feeling very sated and not a small amount of excited for Taste of Melbourne. Argh, the anticipation! Find out more about Taste of Melbourne, or visit my Instagram to win one of two double passes to the event! 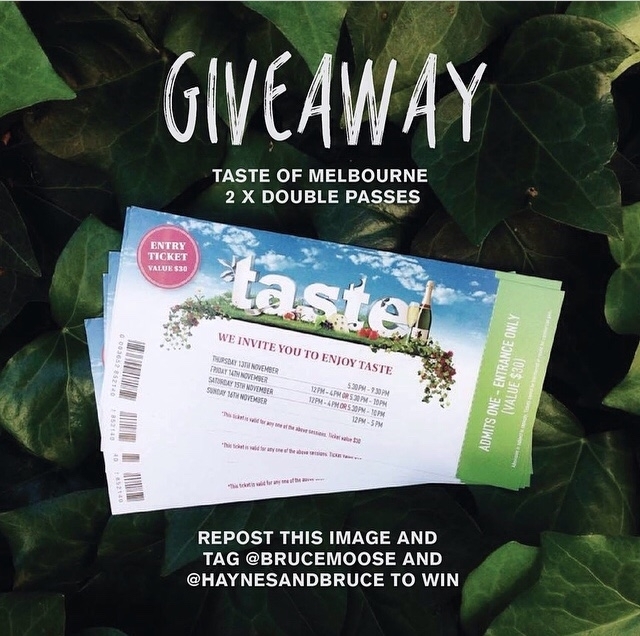 Just a quick post to let you know that I’ve got a little giveaway going on instagram – two double passes to Taste of Melbourne are up for grabs! 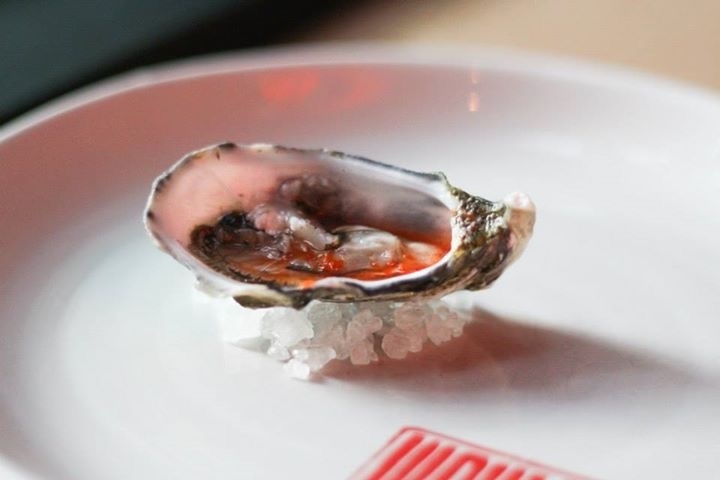 Taste of Melbourne showcases a brilliant array of Melbourne’s best restaurants all in one day. 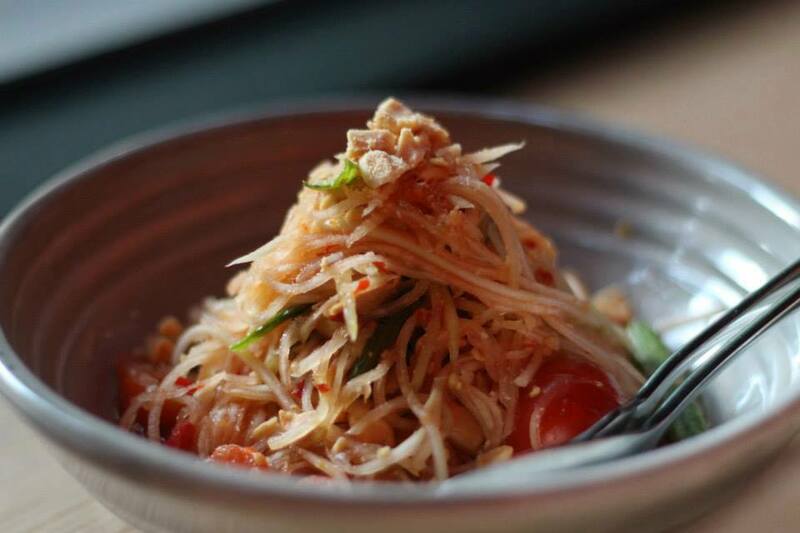 So if you’re up for eating about twenty lunches in one hit (who isn’t), this event is for you. Head to my instagram account for details on how to enter, and chuck us a follow if you feel so inclined (and you DO. You DO feel so inclined). 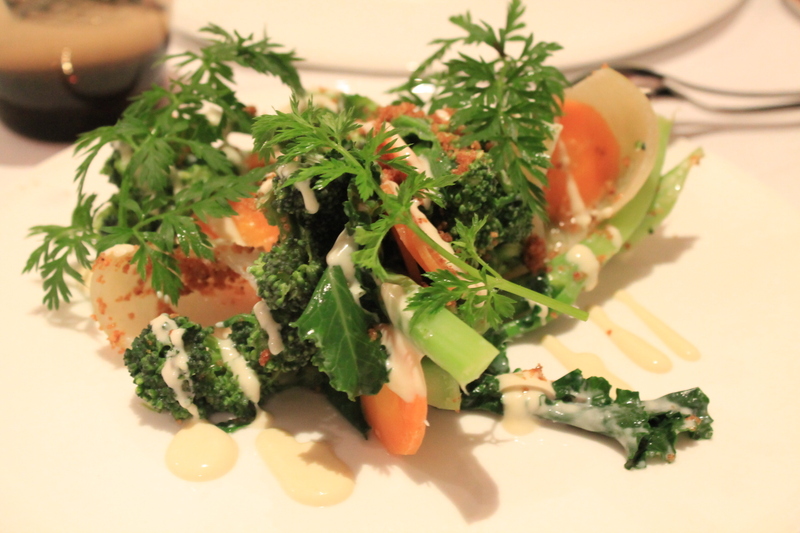 I was recently invited to attend a blogger’s dinner, sampling the newly formed dinner menu at West Village Café. The cafe feeds hungry professionals by day, and is looking to expand their customer base with a dinner service on Thursday and Friday nights. 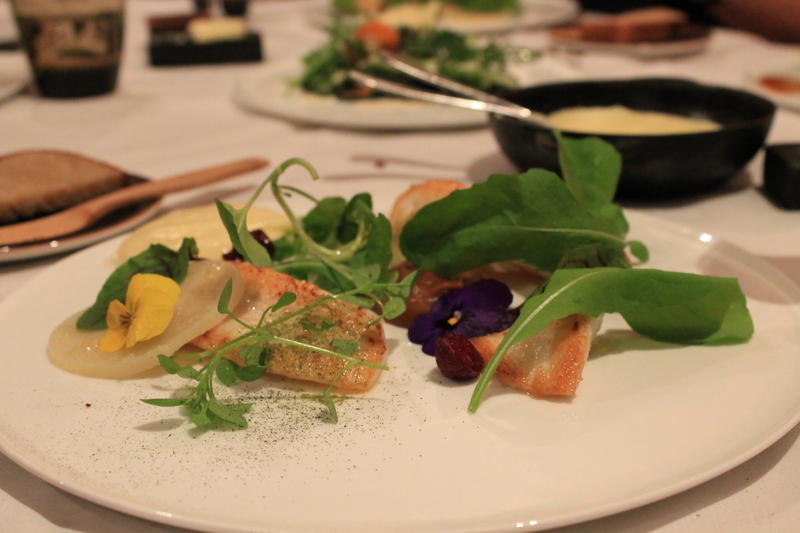 The night was great – good company among fellow food bloggers, lovely and funny service, and good food. 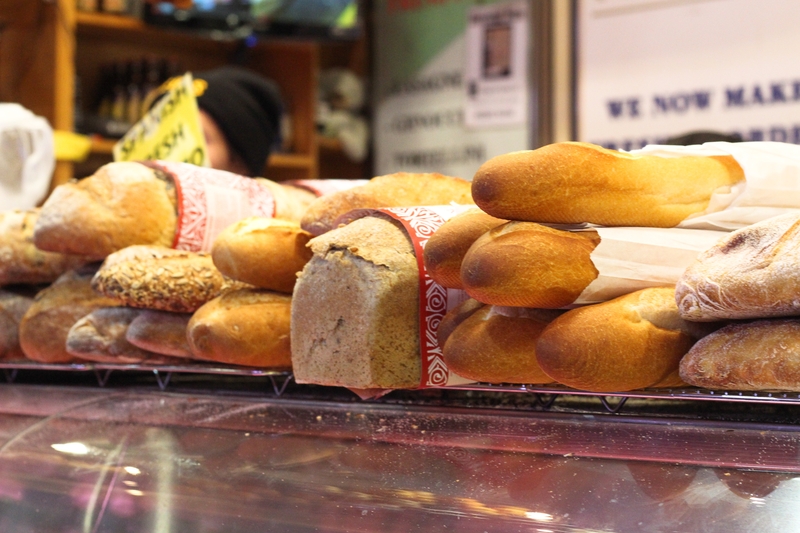 West Village Café was a warm refuge against the cold rain that pelted down outside. 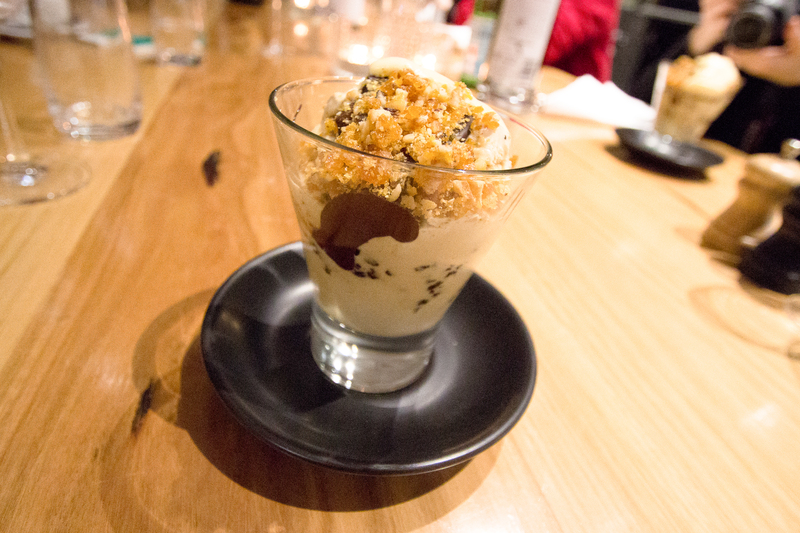 Chunks of fudge brownie and salted caramel praline in this delicious sundae. We began with a grazing plate and ended in a luscious dessert of hot chocolate fudge brownie, honey macadamia ice cream & salted caramel praline. Including the latter, there were, of course, some other standouts along the way. 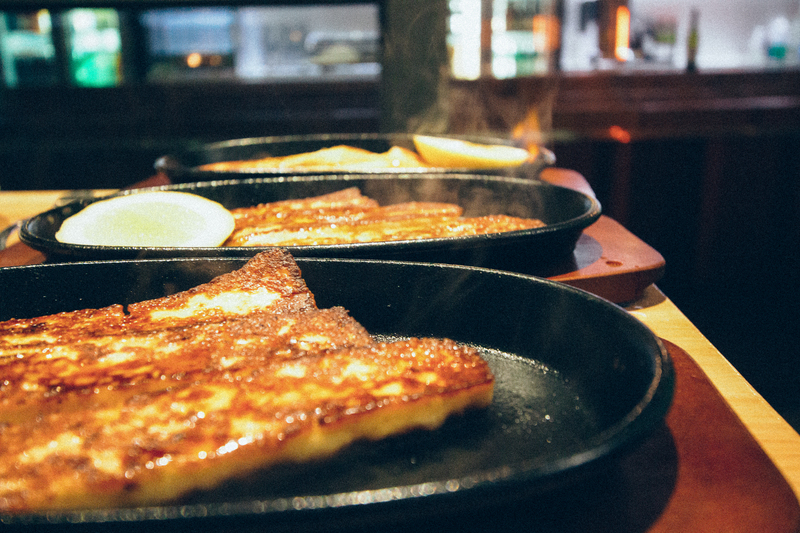 The Pan fried Saganaki, lemon & grilled Turkish bread was a spectacle, in that the saganaki was brought to the table and set aflame in front of us – a bit gimmicky but nonetheless the saganaki was delicious. As our waiter pointed out, it was lovely soft and melty on the inside because it was made with haloumi rather than the standard kefalograviera cheese. I know it’s hard to get wrong, but it’s a crowd, and certainly a me, pleaser. I was also pretty happy with the mozzarella-stuffed veal meatballs with tomato and saffron glaze that followed – meat stuffed with cheese, crumbed and deep fried. Yes please. 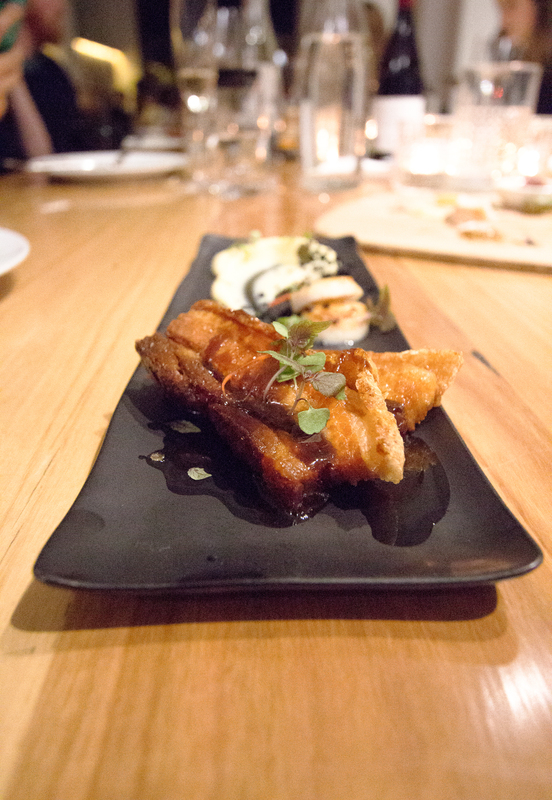 This is where the chef’s ability really shined, and seemed to step up a notch in terms of sophistication. 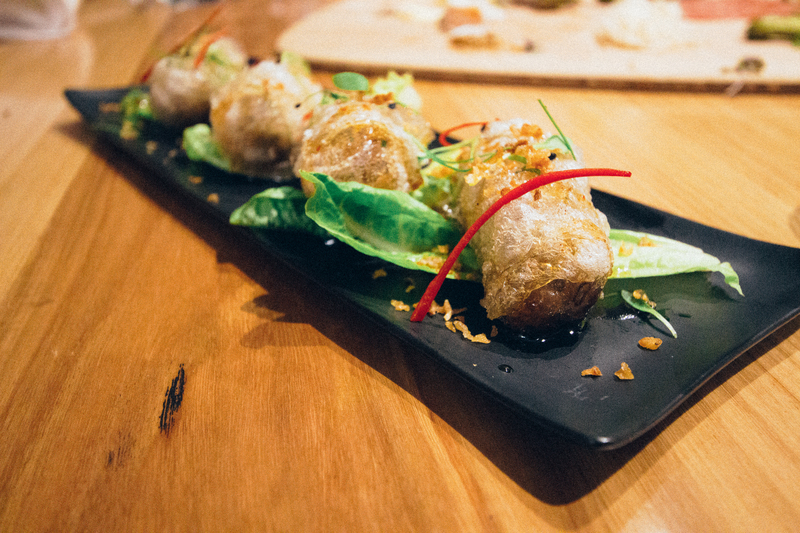 The Hanoi duck spring rolls with Asian herbs & chilli caramel dipping sauce were just spot on – the shredded duck cooked to pull-apart perfection, the salt, sweet, sour, spicy flavours as balanced as a Vietnamese dish should be. But favourites were the slow-roasted pork belly with pan-seared scallops, cauliflower puree & truffle oil and the side of duck fat-roasted kipfler potato. It’s easy to screw up pork belly, and some of the best in the business HAVE – but these morsels were tender and flavoursome, fat rendered down as it should be, skin crispy and cracking in your mouth. Coupled with the sweetness of the seared scallop and the rich smoky truffled cauliflower puree, well, that’s a heavenly combo in my books. 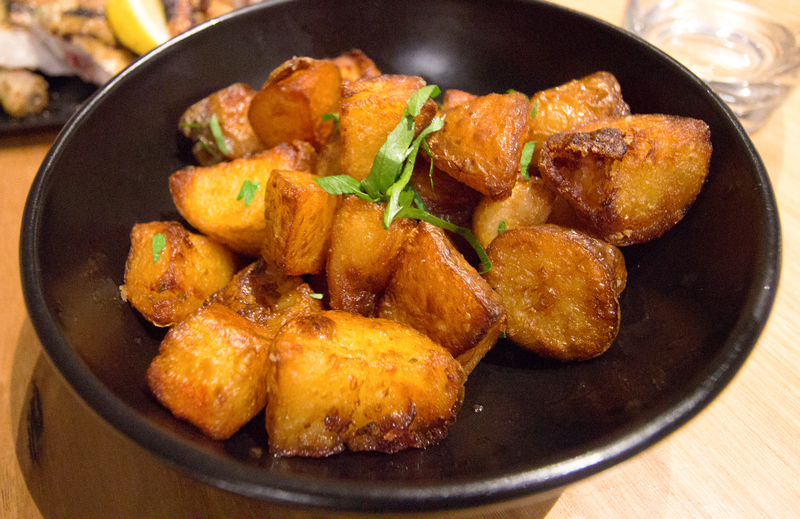 Duck fat-roasted kipflers… yep, can’t go wrong! West Village obviously has a couple of things to refine – the broccolini and the spinach sides need to be more interesting; they need to strengthen their branding and image (are they a New York-style cafe? Are they Italian? European? Modern fusion with some Asian thrown in? I couldn’t work it out) but I assume that will come if their dinner service expands. And I hope it does, because, along with a warm atmosphere, reasonable prices and great service, there are some culinary gems here. Hidden away in the depths of Austral House off Collins Street, Brooks is a destination for corporates and foodies alike, boasting modern French food in a historical setting. The site has an interesting culinary background, formerly housing Jamie Oliver’s restaurant Fifteen, Toby Puttock’s The Kitchen Cat and the Middle-Eastern Momo. “You can taste the difference,” he says. 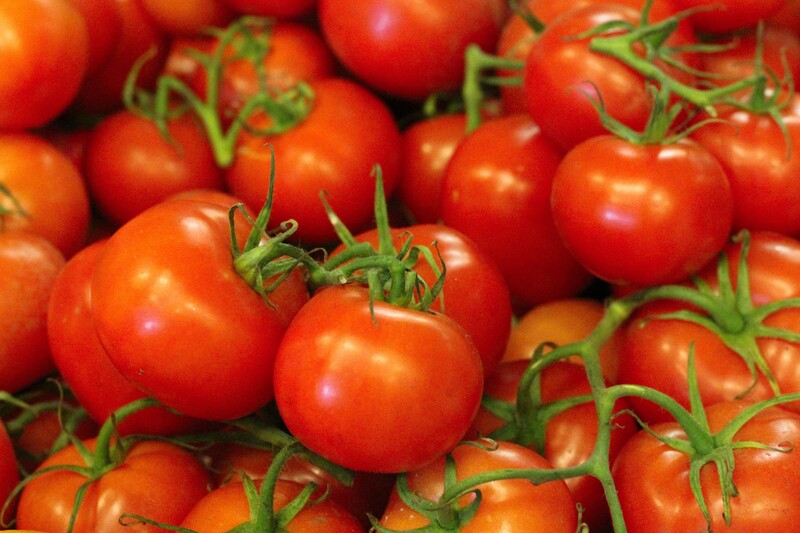 Poelaert is known as the ‘veggie whisperer’, and like many chefs of the age, has a passion for seasonal, local produce, foraging and sustainability. This organic approach, combined with a personal connection to Brooks’ meat and seafood suppliers, guarantees Brooks’ menu is bursting with freshly grown flavour. The mushrooms with a farm egg is testament to this. A mushroom soup, fresh wild mushrooms, a sprinkling of dehydrated kale and one of the most delicious eggs I have ever eaten (definitely came from a happy chicken). 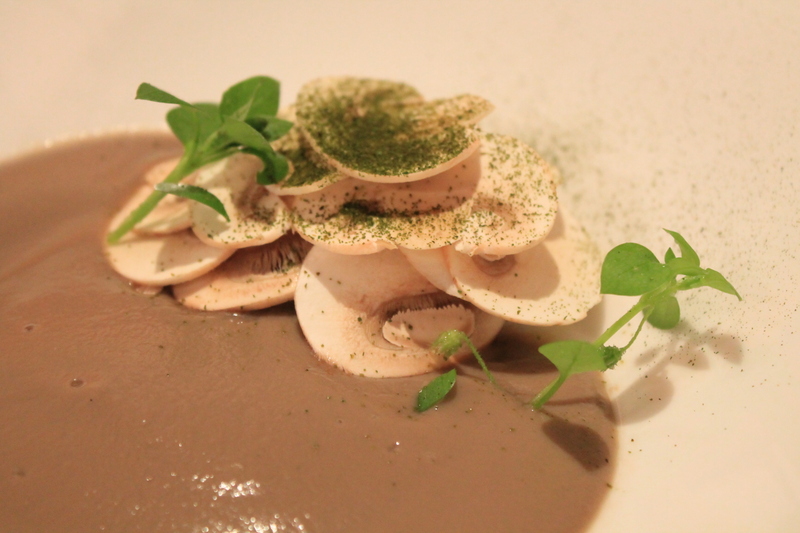 Following that, the Brooks raison d’etre dish, the meli melo of vegetables, herbs and flowers, and celeriac cream was understated and delicious – although I wouldn’t recommend it on its own if you’re starving. That said, I’m not really a non-meat option kind of gal at the best of times, so don’t take my word for it! 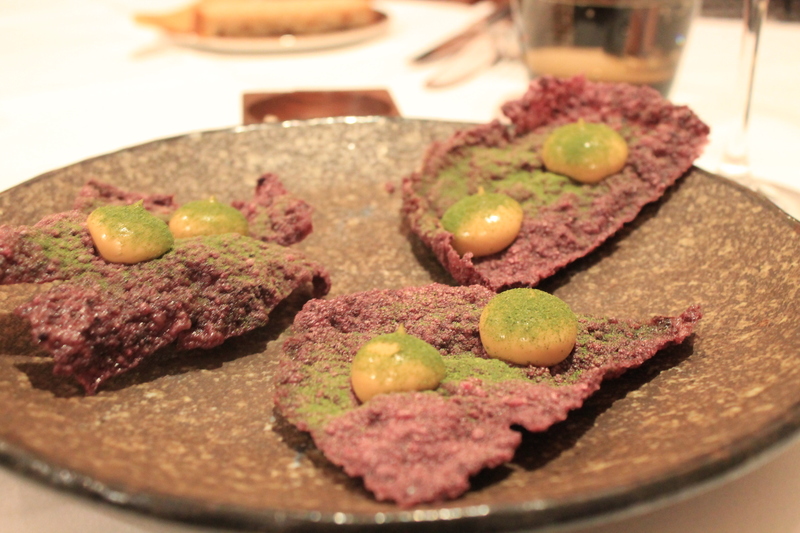 The standout for me, however, was the starter – a Vegemite-infused cracker topped delightful drops of a creamy Vegemite emulsion, sprinkled with dehydrated kale. The most imaginative thing on the table, it stole the show, and really hinted at Poelaert’s potential, to the point where I was slightly sad he didn’t go for it a little more with the other dishes. Brooks boasts great service, a well-researched wine list and delish food, prepared under the watchful eye of a chef that knows what he’s doing. But as Poelaert himself said, “We don’t aim to be the best in the world, but we do aim to be well-respected in the industry.” That’s fine, but I feel like Poelaert could better own his obvious talent and push it a little more. 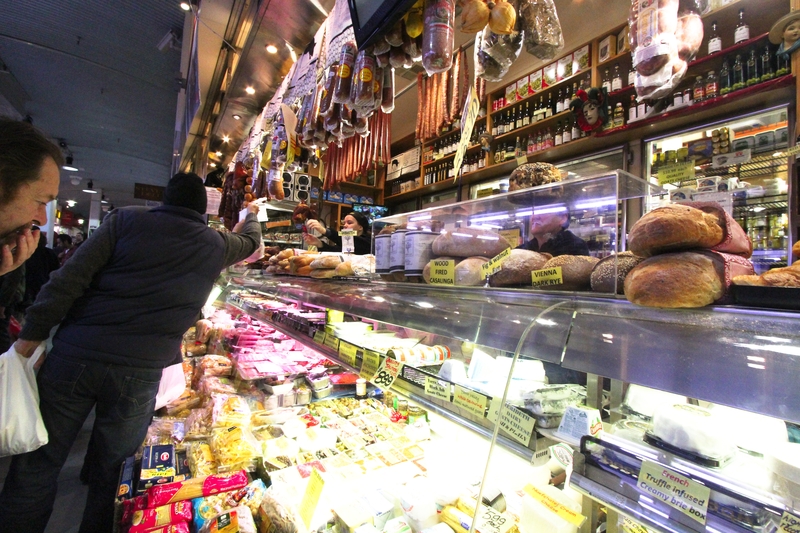 For me, there are few more enjoyable ways to spend a weekend than hitting up bustling markets to buy allllllll the deli meats and cheeses, find the freshest veggies and herbs at the best price, and then head back home to cook up my purchases with a glass of wine in hand. 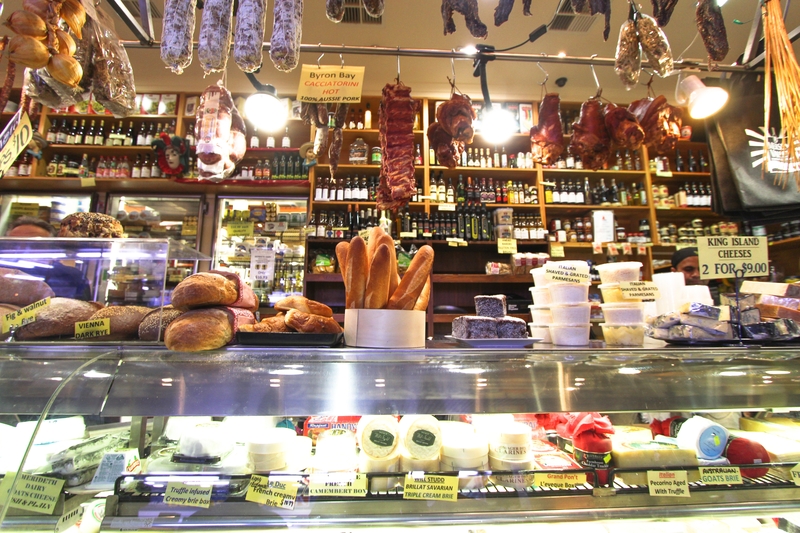 South Melbourne Market is a regular haunt for my fresh food-inspired days for a number of reasons – the proximity to the brilliant design shops that pepper the area, the closeness to the city, its restaurants that boast a warm European atmosphere, and the fabulous Theo’s Deli that sells my favourite King Island Roaring Forties Blue at a bloody good price point. 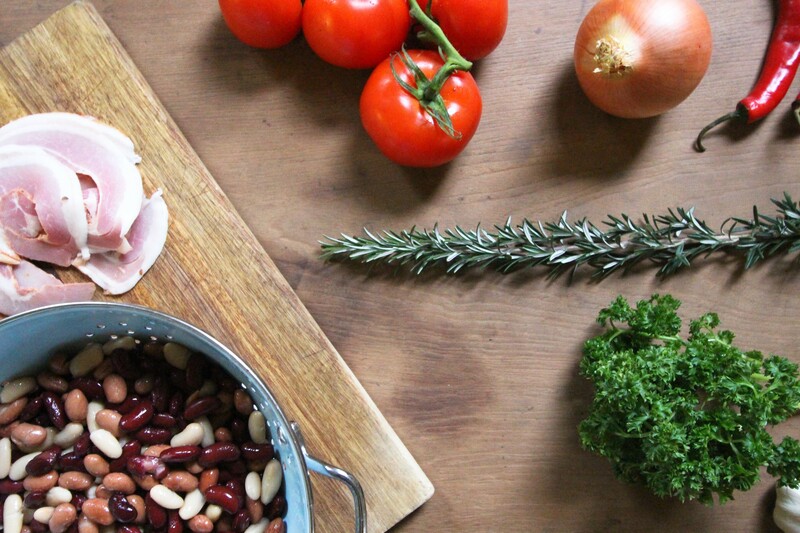 It was my frequent trips to this deli, along with my love of the house made baked beans that have become a staple on brunch menus across Melbourne, that prompted me to create my own baked beans. This is a very Italian-inspired recipe. There are many incarnations to be found online, but I think this combo of rosemary, spicy pancetta, chilli and anchovies is the absolute best. Don’t be afraid of the anchovies. They bring a uniquely tasty flavour to the dish that’s not fishy at all, and when you chop them up and chuck them into the mixture, it just melts away into the sauce without a trace. TIP: Don’t worry if the top of the dish looks a tad overdone when you take it out of the oven. 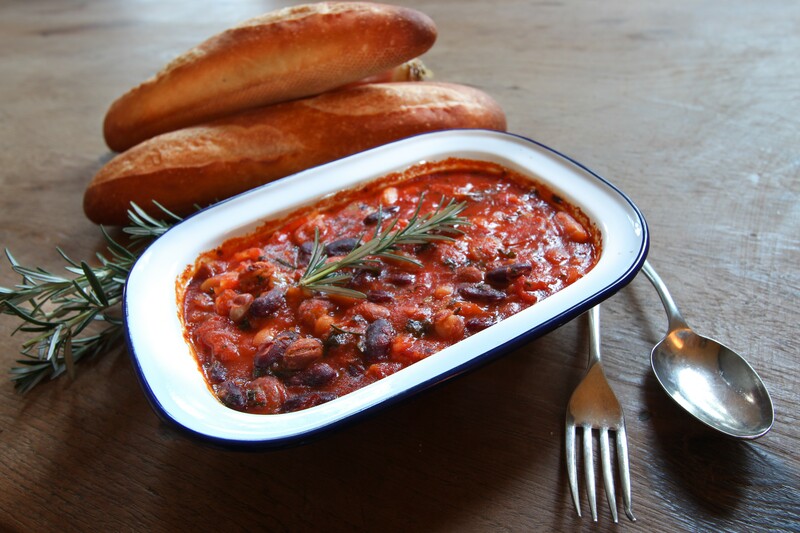 The more cooked the dish is, the more deliciously caremelised and rich the baked beans become. 2. Add garlic and onions to a large saucepan with butter and oil and a little salt and pepper. On a low heat, cook, stirring, until onion is translucent and golden brown. Add brown sugar and continue stirring until dissolved and onion/garlic mixture is caramelised. 3. Add pancetta to saucepan and cook until fat renders down and crisps up a bit. 4. Add fresh and canned tomatoes, tomato paste, parsley, rosemary, powdered stock and anchovies to the saucepan. Cook on a simmer, covered, for at least 20 minutes or until sauce thickens, flavours intensify and the consistency is that of ragu. 5. Add beans to the mixture and stir. Cook for a further five minutes. 6. Pour into a small (approximately 7cm by 10 cm) ovenproof dish and bake in the oven for 30-40 minutes, or until the top becomes darker in colour and the mixture is bubbling. 7. 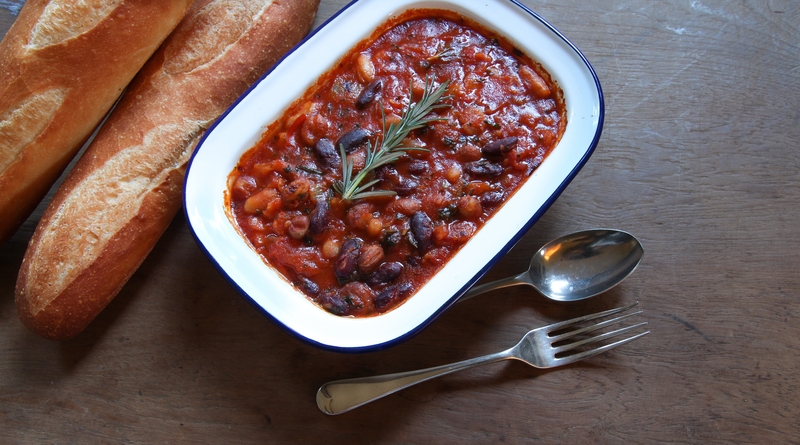 Ladle beans into shallow serving bowls. Top with poached eggs and crumbled fetta. 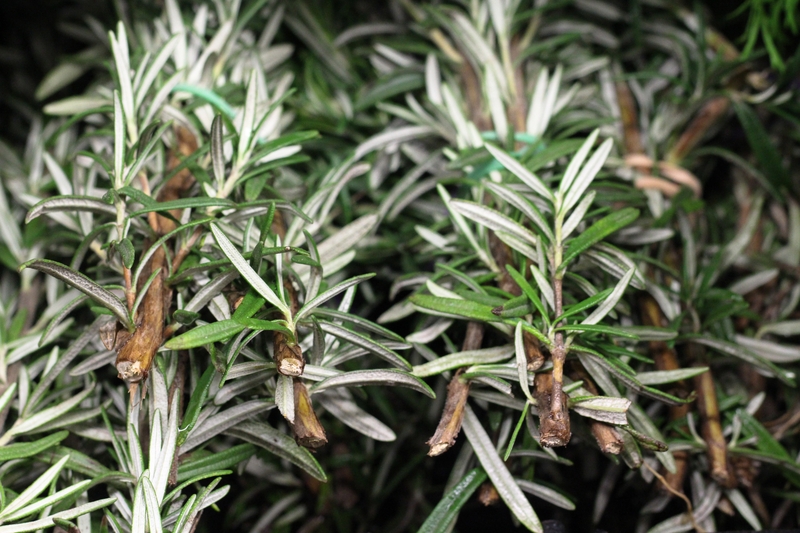 Serve with warm baguette drenched in butter and anything else that takes your fancy. 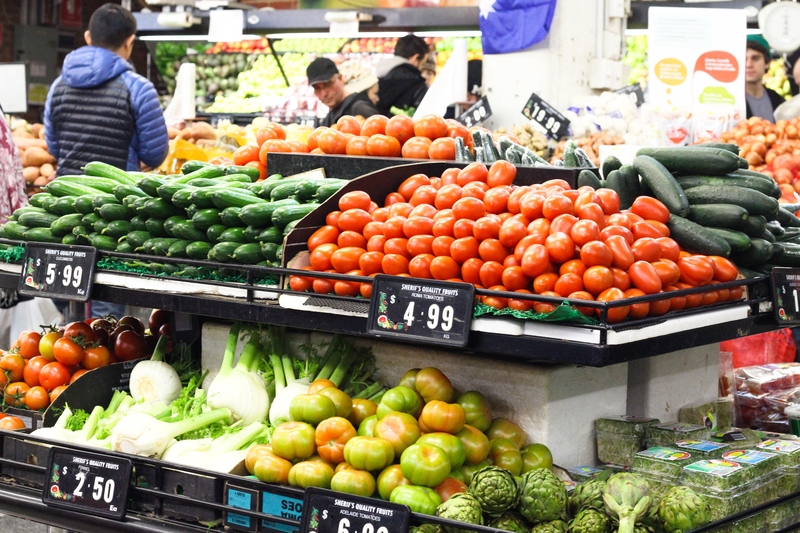 The strip between the City and Docklands hosts often tired cuisine – with this area around the Arts Precinct often struggling to remain relevant in a post-90s Melbourne. The recent Hamer Hall facelift, however, has injected some life into Southbank, and being the central area for pre-and-post-performance dining, Southgate has been required to up its game. 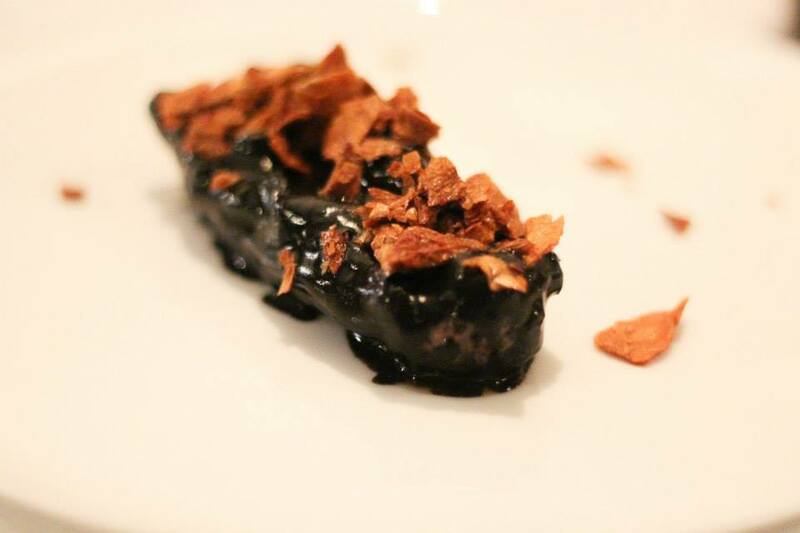 Enter Artusi, which opened this week, promising all things Italian tapas and fine European wine. 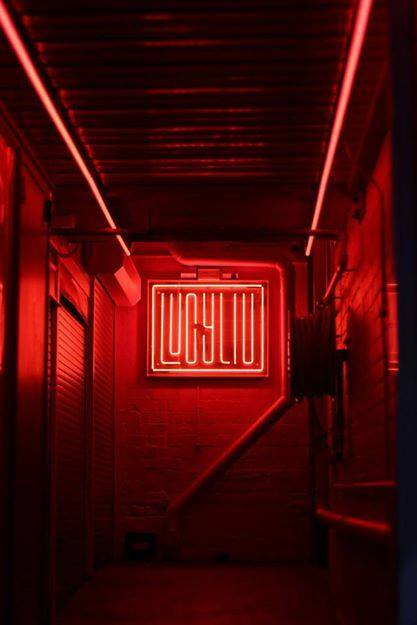 Owners of the much-loved Tutto Benne, Luis Pampliega and Tamara Volkoff, are heading up the new venture, so it’s hardly surprising Artusi was packed with Melbourne’s Italian glitterati along with other colourful characters – Big Brother’s Tully Smith and Matt Mitchell of Con the Fruiterer fame among them. In light of recent dwindling numbers, it was heartening to head to a restaurant opening at Southgate that was absolutely full to the brim. Sure, there were your standard Italian clichés – an old crooner singing Volare followed by a Soprano trilling O Mio Babbino Caro and Libiamo ne’lieti calici – the only two Italian operatic pieces that anyone actually knows. The schmaltz is to be expected of this area of Melbourne, and the night’s entertainment picked up during a fantastic demonstration by Head Chef (and executive chef of Tutto Benne) Leandro Panza demonstrating how to whip up some tortellini magic. I don’t think the event managers had anticipated the turnout, and battling it out with the feisty Italian mammas to snaffle a gorgonzola canapé or a pumpkin cappeloni was a little dramatic. This was somewhat redeemed by the gift bags we were handed as we left which were filled with risotto, Tutto Benne olive oil and praline goodness. They may have been hammered by hoards at the opening, but that didn’t deter from the overwhelmingly warm and happy atmosphere at Artusi – and if his performance on opening night was anything to go by, Leandro Panza knows his stuff and Artusi is definitely one to watch in the coming months.